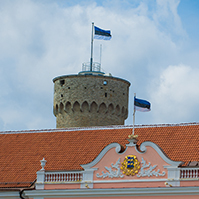 At today's sitting, the Riigikogu passed the Act on Amendments to the Guarantee Fund Act and Amendments to Other Associated Act, which increases the feeling of security of depositors by increasing the extent of the protection of deposits in the event of possible insolvency of banks. 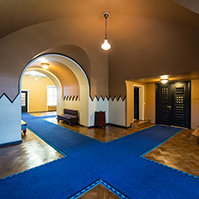 72 members of the Riigikogu voted in favour of the passing of the Act and there were four abstentions. The Act on Amendments to the Guarantee Fund Act and Amendments to Other Associated Acts (119 SE), initiated by the Government, continues to ensure a deposit together with interests to the extent of up to EUR 100 000 per depositor per bank, and this principle will not change. In addition to that, the money received from the sale of a residential property is guaranteed to the person to the extent of up to EUR 70 000 within six months as of the receipt of the money from the sale and purchase transaction. The Act also specifies the definition of deposit so that it would be unambiguously clear which deposits must be guaranteed and which not. The period of payment of compensation to depositors in the event of insolvency of the credit institution is reduced from the current 20 working days to seven working days. The range of persons whose deposits must be guaranteed is specified. The financing of the Deposit Guarantee Sectoral Fund, that is, the payment of contributions by banks, will be dependent on the risk degree of banks. Then it is provided in which form and in which format information on the guaranteeing of deposits has to be given to depositors. It also regulates the cooperation of the Guarantee Fund with the deposit guarantee schemes of other countries. Today the Riigikogu also passed the Act on Amendments to the Water Act (82 SE), initiated by the Government, which updates the requirements for the restriction of water pollution originating from agriculture. The amendment enhances certain water protection measures in agriculture, and specifies the provisions relating to the use of fertilizers and the requirements for manure storage facilities. Ivari Padar took the floor during the debate. 51 members of the Riigikogu voted in favour of the passing of the Act, 15 were against and there were two abstentions. 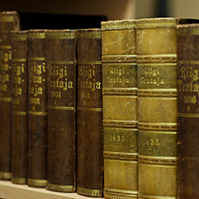 The Riigikogu passed with 74 votes in favour the Act on Amendments to the Act on the Return of Cultural Objects Unlawfully Removed from the Territory of a Member State of the European Union (117 SE), initiated by the Government, which transposes into Estonian law the directive on better protection of the cultural objects of the European Union. The amendments will strengthen the mutual administrative cooperation between central authorities of the Member States and introduce the Internal Market Information System. The directive regulates the return of cultural objects in a situation where a cultural object the removal of which requires authorisation is discovered in the territory of a Member State but the authorisation has not been given. The regulation is necessary because the amount of cultural objects unlawfully removed from the territory of a Member State every year amounts to estimated 40 000. The Bill on Amendments to the Population Register Act, the Vital Statistics Registration Act and the State Fees Act (124 SE), initiated by the Government. The aim of the amendments proposed by the Bill is to reflect the existence and validity of e-residency in the population register and to supplement the data composition of the population register accordingly. Also, to specify the issuing of data from the population register to a person in the case of a legitimate interest, and to amend the Act by adding the right of a person to obtain information and data concerning his or her deceased spouse from the population register. The Bill on Amendments to the State Borders Act, the Police and Border Guard Act and the Act on Amendments to the State Borders Act, the Customs Act and the Police and Border Guard Act (141 SE), initiated by the Government. The primary objective of the Bill is to ensure implementation of the regulation concerning passenger name record data due to enter into force on 1 January 2016. According to the Bill, a legal basis for the processing of passenger name record data in a separate database will be established. The second aim of the Bill is to mitigate the conditions for the provision of service for the provider of the border crossing waiting area service, thereby ensuring equal treatment of potential service providers. The third aim of the Bill is to improve surveillance of the state border. The area where the police may travel without hindrance which is necessary for the police for the purpose of state border surveillance will be extended to private lands, in addition to private roads. The procedure for the stay on transboundary water bodies will be extended to smaller transboundary water bodies that so far have not been covered with regulation. The Bill on Amendments to § 30 of the Value Added Tax Act (148 SE), initiated by the Finance Committee. According to the amendment, a taxable person will have the right to deduct input value added tax in full from a vehicle used for business and from goods acquired and services received therefor also in the case when an automobile is used mainly for the carriage of passengers for a fee on the condition that the taxable person holds a Community licence provided for in the Public Transport Act and a certified copy of the Community licence. The Bill on Amendments to the Code of Criminal Procedure and Amendments to Other Associated Acts which Extends the Rights of Victims in Criminal Proceedings (80 SE), initiated by the Government. The aim of the Bill is better protection of victims and the strengthening of the standing of victims in proceedings. The Bill will ensure better protection of victims in criminal proceedings, strengthen the standing of victims in proceedings and create a clear and unambiguous regulation for processing the claims arising from crimes. 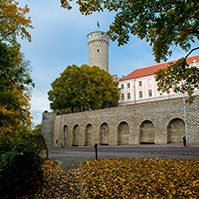 The relevant EU directive establishing minimum standards on the rights, support and protection of victims of crime will be transposed into Estonian law. The procedure for proceeding victim’s proprietary claims, that is, the processing of civil actions, is specified. The state will be enabled to file a proof of claim in public law, besides a civil action, as victim in criminal proceedings. The Bill on Amendments to the Basic Schools and Upper Secondary Schools Act and the Private Schools Act (140 SE), initiated by the Government. The Bill will change the structure of the education expenditure support allocated to local governments and private general education schools. The funds designated for education expenditure support investments, amounting to nearly 2.6 million euro, will be directed at teachers’ salary growth. As a result, the teachers’ labour costs support allocated from the state budget can be raised to 1.4 per cent. Also in the future the manager of school can use the labour costs support only for the remuneration of the work of teachers. The Chairman of the Cultural Affairs Committee Laine Randjärv gave an overview of the proceedings on the Bill. Kersti Sarapuu, Jaanus Karilaid, Märt Sults, Tarmo Tamm, Aadu Must, Krista Aru, Mailis Reps and Mart Helme took the floor during the debate. 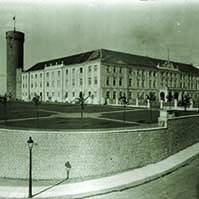 The motion of the Estonian Free Party and the Estonian Centre Party to suspend the second reading of the Bill was not supported. 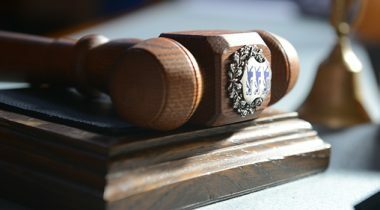 33 members of the Riigikogu voted in favour of the suspension and 48 were against. 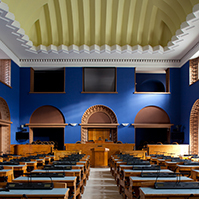 The Bill on Amendments to the Tax Information Exchange Act and the Taxation Act (145 SE), initiated by the Government, which will bring the Estonian legal space into conformity with the international developments that have taken place in the field of taxation with regard to cross-border automatic exchange of information. Estonia supports the European Union objective of preventing tax fraud and tax evasion with automatic exchange of financial account information in tax matters. Tax authorities will be charged with the obligation to mutually exchange information on the financial accounts of tax residents of the other country which will reduce possibilities to hide incomes from the tax authority of the country of residence in a financial institution located in a foreign country. 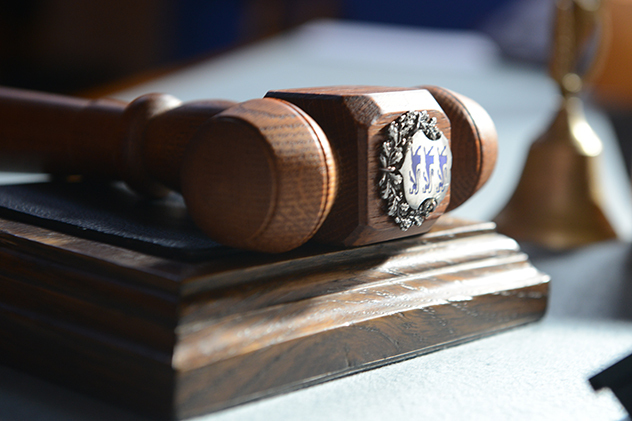 The deadline for submission of motions to amend the Bill is 4 January 2016. On the proposal of the Government, two Bills that had been submitted by the Government for the first reading were excluded from the agenda for today’ sitting: the Bill on the Ratification of the Work in Fishing Convention (No. 188) of the International Labour Organization (126 SE) and the Bill on the Ratification of the Maritime Labour Convention of the International Labour Organization (127 SE).